I am cautious to include too much of my emotions in a film review, but Shoah(1985)is a documentary which makes that notion nearly impossible. I figured since everyone speaks about this film so reverently and the Criterion Collection just released a new box set, it was time to watch it. I only got through a little over four hours of the film. I could not continue watching. This is not due to the film being bad in any way, but because I could not handle it mentally any longer. Perchance due to being bereaved since the beginning of the year, a blow that will never really heal, I was not in the optimal state of mind to view this testament to death. Shoah is a documentary of the highest order; a masterpiece that is so well constructed it will destroy your heart and make you seriously question if there is any humanity in this world. Shoah is a documentary which uses the voices of victims and witnesses and images of the landscapes of the Death Camps in the present day to paint the most terrible images of the Holocaust ever compiled. How can the images be terrible if there is no archival footage? The images that are evoked by the combination of disembodied testimonials and the slow pan of the deserted Todeslagers create the most visceral images in the viewer’s heads. The interviews with the victims and perpetrators are often matter-of-fact, which makes the horror even more real. The Polish farmers who were teens when the Death Trains rolled by their fields practically joke about how they would signal the Jews on the trains which were transporting them to their death. The farmers speak of making throat slitting motions to the imprisoned Jews and how the passengers could not understand what the farmers were trying to warn them about. The men interviewed chuckle a bit, but not to make fun of those who were exterminated, but to simply break the tension of the situation. They were young, strong men who could not stop trains of people being slaughtered; they have carried the guilt throughout their lives and it is shows on their wrinkled, ill-at-ease faces. It is the only way to get through each successive day; to tell what happened and then go on with their lives. One aspect of Shoah which haunted and upset me was the fact that life returned to normal after the war, whatever normal is, in relation to the ultimate horror wrought by the Nazis. The men who were tasked with the saddest job ever invented, the Sonderkommados, tell their stories in detail with occasional bursts of emotion peeking through. The Sonderkommados were the Jewish prisoners who were kept in isolation and forced to usher victims into the gas chambers, forced to sort through the dead’s remains and forced to work the Krematorium ovens. Only a few survived the hideous ordeal, but the look in their eyes shows that they will never wash the images from their minds and the guilt from their hearts. They were not guilty in truth, the Nazis forced the prisoners to complete these terrifying acts, but they hold forever the guilt of survival that is a heavy, crushing burden to bear. Yet, they live on, they moved to new countries and tried to live like people not touched by the deepest evil. They do a competent job of trying to forget and soldier on, yet one knows their lives were destroyed back when they were so young and also so powerless. I stopped watching the documentary after an interview with a historian who tries to answer why the Holocaust is such a unique event in human history. Genocide and war have always existed, yet the Nazis invented something new, as the historian phrased it. The Final Solution to exterminate all of the Jews in Europe was exacted with new, experimental technologies and at a break-neck speed. Never before had genocide reached such a large scope and caused such permanent damage to a cultural group. All operations were mechanized and refined for the optimal, swift death of the prisoners. It is truly unbelievable to think that these events really happened in the recent past, but they did and we have to sort through what this means for humankind, which is the ultimate question which has no answer. 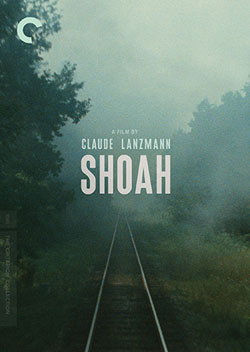 I can attest with even a partial viewing that Claude Lanzmann’s Shoah is a brilliant examination of the Holocaust and the burdens and nightmares which it released onto subsequent generations.